Did you know? The four-link front suspension is unique to the TTRS and parts of it are made from aluminium to save weight. 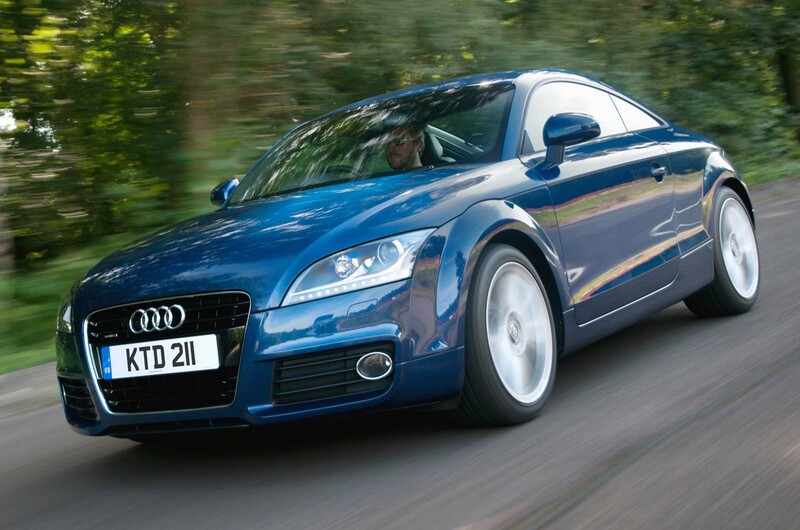 Whatever the generation – Mk1, Mk2 or Mk3 – an Audi TT is a gift to used car buyers. Evolutionary design means even a Mk1 looks reasonably fresh, while the mechanicals are tough and well proven and the bodies resistant to rust. Prices for the Mk1 start at around £1000 but, in truth, it’s a bit long in the tooth. The cheapest Mk3 is around £14,000 – a little pricey for a bargain hunter. Which leaves the Mk2, again available in coupé and roadster forms. Prices start at around £4000 for early and leggy 2.0 TFSIs, although just £2000 more puts you among better-kept examples with lower mileages. Want more power? Check out the 244bhp 3.2 V6 quattro: around £7000 gets you a good 2008-reg one. From there to £10,000, your world opens up, although you’ll need a bit more for 2011-reg facelift cars (the 2.0 TFSI went from 194bhp to 205bhp, and a Sport button offering keener responses became an option across the range). Can the juggernaut sports coupé roll on to even greater success, or has Audi's icon lost its edge against more purpose-built machines? There’s a 2.0 TDI diesel, of course. Expect at least 50mpg but the fact that it’s available in only quattro form confirms its strong in-gear acceleration. So you’re sure its emissions are within limits and its exhaust system is sound, make sure it’s sold with a fresh MOT. On your travels, you’re sure to encounter a 156bhp 1.8 TFSI petrol. The engine appeared in the roadster in 2009 and then in the coupé in 2012. If the TT’s looks are sufficient reward for you, it’s something of a bargain. That it’s surprisingly fun to drive is a bonus. A 2012-reg 1.8 TFSI Sport with full history and 60,000 miles is around £10,000. 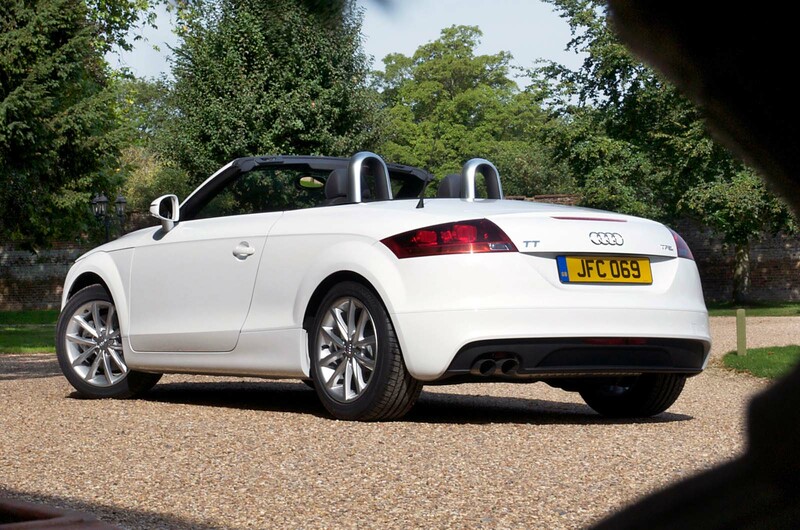 Prices for the 264bhp 2.0 TFSI TTS quattro, which arrived in 2008, start at around £8500 but many have been thrashed. An alternative might be a 2008-reg 3.2 V6 quattro with low mileage. They’re generally in better condition, better value and almost as thrilling to drive, although more expensive to run. Sitting like a king above them all is the TT RS, sold from 2009 and powered by a 330bhp 2.5-litre inline five. An even more powerful Plus variant, launched in 2012, has 350bhp. RS prices start at around£15,000 and go all the way to £30,000. Quattro is an option on some TTs, standard on others. Same goes for manual or S tronic gearboxes. 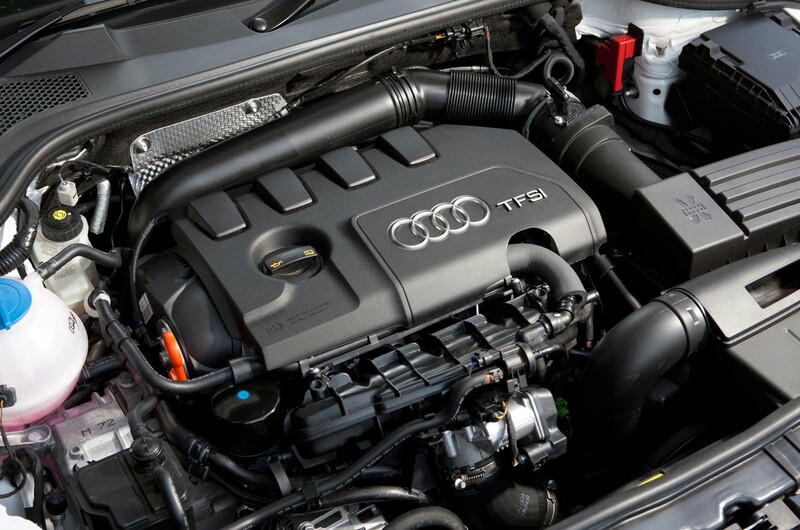 The latter suits the TT’s character but its mechatronic control unit can play up. If it’s juddery or hesitant, walk away. Magnetor heological dampers were standard on the TTS and RS, but they give a very stiff ride in Sport mode. They were an option on lesser models, although don’t pay extra for them. With older and higher-mileage cars, condition is more important than specification, so S line, Black Edition and quattro versions don’t command an automatic premium. In any case, even in standard trim, the TT Mk2 is well equipped. Like we said, the TT, and the Mk2 in particular, is a gift to used car buyers. ENGINE - Generally reliable but thrives on regular servicing and requires a new cambelt every five years or 75k miles (around £500 at a specialist). Misfiring or stalling can be a failing coil pack (about £35).Long-life servicing is every two years or 20k miles (about £199 at a specialist). Platinum-tipped spark plugs can run for 60k miles but are expensive. GEARBOX - On TTs fitted with S tronic dual-clutch transmission, juddering or a loss of drive could be the mechatronic control unit (around £800 at a specialist). Its clutches can let go too(£1200, compared with £1000 for a new clutch in a manual ’box). BRAKES, STEERING AND SUSPENSION - Ensure the brake fluid has been changed every two years. The bushes on the rear console of the lower front wishbones start failing at around six years. Check for steering rack rattles. BODY - Any corrosion is likely to be repair related. On standard cars, check the automatic rear spoiler rises and falls. On the roadster, more cars are having problems with the motors that power the flaps that conceal the hood when folded. It can be a sensor issue too. INTERIOR - Listen for trim and fascia rattles, and check the boot floor isn’t damp. Check the power windows work (regulator cables snap). Ensure the air-con works since a lack of regular servicing causes the compressor to fail. Check the seat bases aren’t sagging. Regardless of its age but so long as the car has done less than 100,000 miles, Audi will sell you a 12-month warranty for your TT. All-component cover for a 2007-reg TT 2.0 TFSI with 88,000 miles, doing less than 10,000 miles a year, is £1164 or £100 per month with zero excess. Visit insurewithaudi.co.uk. £3995-£4495 - Early 2006 to 2007 2.0 TFSIs with 100k-150k miles. £4500-£6495 - 2008 to 2009 2.0 TFSIs and TDIs and 2006 to 2008 3.2 V6s with 120k miles. £6500-£8995 - Mileages below 100k. 2010-reg with 70k miles from £7500. £9000-£10,995 - Pick of 2009 to 2011 cars, plus first TTSs. £11,000-£12,995 - Choice of 2011 to 2013 1.8, 2.0 and TDIs. £13,000-£14,995 - Best 2012 to 2014 TFSIs. Also 2010 to 2011 TTSs. £15,000 AND ABOVE - Low-miles 2013 to 2014 TFSIs and TDIs, plus 2012 TTSs, peaking at £25k for a 2014 one. First 2009 RS cars, maxing out at £30k for a 2014 RS. 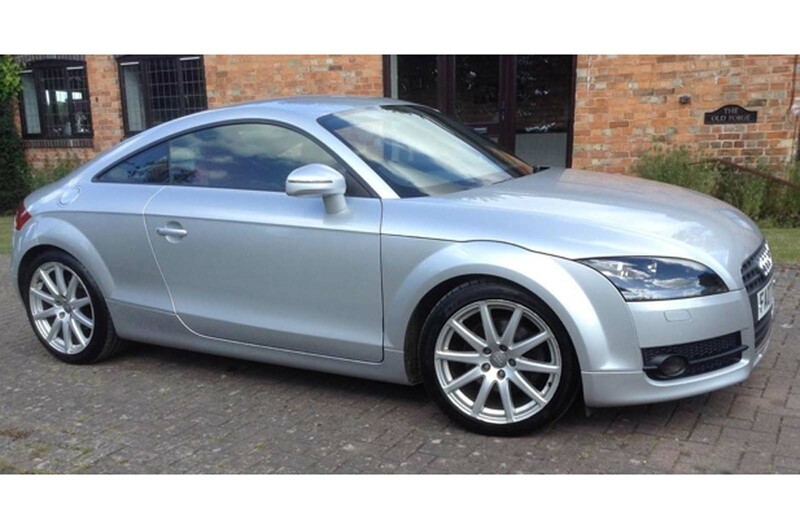 AUDI 2.0 TFSI, 2007/07, 98K MILES, £4950 - This private-seller TT has one owner and full service history. Also has a Bose sound system and parking sensors. Wheels looked scuffed but at least the seller knows its history from day one. It may be better but I prefer the mk1, it's an iconic design and a future classic, its also a tiny, less bloated car than newer versions. I think their color sensitive, Silver is boring now so is any shade of Grey, I’d go for a mettalic color something like the Coppery Bronze and if you can afford it with as much BHP too! ... it's the Mk1 every time for me: it was strikingly different on release - the Mk2 just got more ordinary as they dialled the character out of it. It wasn't any good as a sports cars (it's an audi) is what the punter(ess) has to keep sight of. I noticed that the chairman of the TT car owners club made no mention of the dangerous vehicle that it started out as.